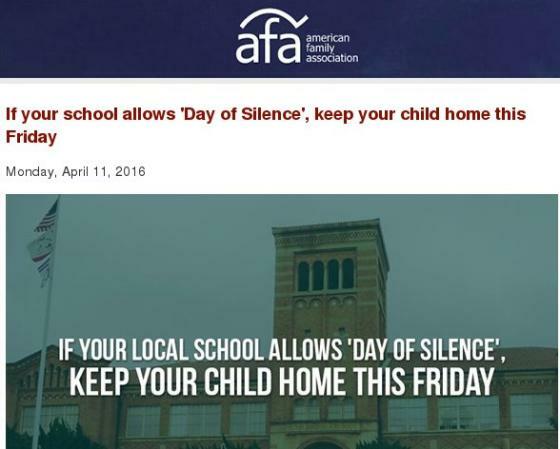 You can actively oppose this hijacking of the classroom for political purposes and help de-politicize the learning environment by calling your child out of school if your child's school participates, promotes or allows "Day of Silence" activities. Wildmon goes on to instruct the faithful to contact their local school. Of course schools have little control over what is a voluntary action on the part of some students. Those kids have more common sense than the grownups at AFA. What are these people afraid of? 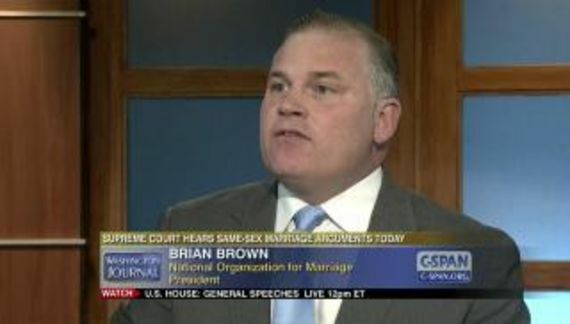 That there child might learn a real civics lesson about American values for fairness and equality?